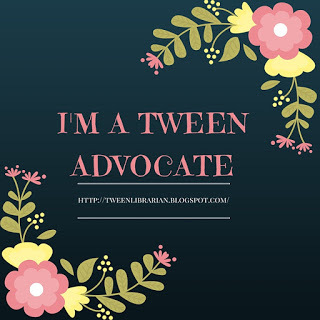 GreenBeanTeenQueen Says: As an avid reader and librarian who has a constantly huge TBR pile, it takes a lot for me to get into a series and want to read a sequel and keep a series on my radar. And oh my goodness, let me tell you that The Winner's Curse is a book that I am keeping on my radar and eagerly awaiting the next book in the series and I can't wait to keep going! There are so many things to like about The Winner's Curse. First off, I really love Kestrel. She's a strong female character and I love seeing strong women in YA, especially young women who really come into their own and learn to stand up for themselves over the course of the book. She doesn't swoon for boys or need a guy to save her. Kestrel is uncovering the veiled world she's lived in and questioning what she has always thought she knew and her journey there is fantastic to read. Arin might be a bit on the broody side, but he's a strong character as well. I LOVE that there was not a love triangle in this book-thank you Ms. Rutkoski!!! Kestrel and Arin are both having to uncover long held truths and put aside prejudices they have about each other and this aspect of the novel is especially well written and developed. I really liked the interplay between them as they go from mistrust to an uneasy trust to a possible relationship that has too many barriers in its way. It's intriguing and makes the novel especially appealing. The world building is also fantastic. It's hard to classify this book exactly-it's a bit fantasy, a bit historical, a bit dystopian, a bit romance, a bit adventure, a bit mystery, and a bit political intrigue. There really is something for everyone. And while there is a romantic plot line, it is not so central to the story that non-romance readers would be turned off from it. I actually listened to this book on audio and I really enjoyed the various accents the narrator used throughout. It made the characters even more realistic and I thought it created even more intrigue. With a big surprise cliffhanger for the ending, readers will be eagerly anticipating the sequel! As part of The Winner's Curse blog tour, participants have been asked what they would pay too much for. That is such a hard question! My first answer when I saw this question was books-ha! I know Mr. GreenBeanSexyMan would say that's the truth! But I can't help it-I love books. And while I don't think I would spend thousands of dollars (or more) for a signed copy or a limited edition (I'm not that much of a collector), I do think in my own way I spend too much for books at times. It's always a risk-taking a chance on a book that you may or may not like. If it turns out to be something you don't like, did you pay too much for it? Or what if you purchase a book and you don't ever end up reading it? And then it takes up room on your shelf (shelf space is valuable!!) and you keep telling yourself you promise you'll read it this year, but then another year passes and you still haven't read it? Was the price too high then? And like I tell my readers at the library all the time, life is too short to read bad books. It takes time to read-precious time out of your already busy day, so you want to make the most of it and read something that you will enjoy reading. You don't want it to be a chore. And if it becomes a chore, than it's not enjoyable anymore and you've paid too much by loosing your enjoyment of reading. Maybe that's silly to think of books in that way. But with as much time as I spend thinking, researching, reading, talking, and writing about books, books make up a significant part of my life! I want to get what I paid for! Maybe that's why I should just stick to library books! Want to win a copy of The Winner's Curse? Enter the giveaway below! I have been hearing more and more good things about this series. Glad you made time for it, I think I need to check it out! My only other experience with Marie Rutkoski's work was The Cabinet of Wonders, which I really enjoyed. 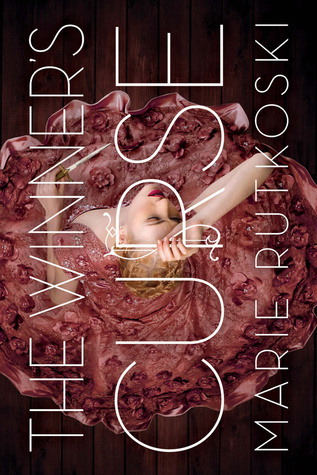 I hope to read Winner's Curse, as so many people have been saying such good things about it. Off to make sure it's on the TBR.